Family reunion, college friends, bachelor parties. No matter the occasion, gathering friends for a boat ride always ends up in fun. 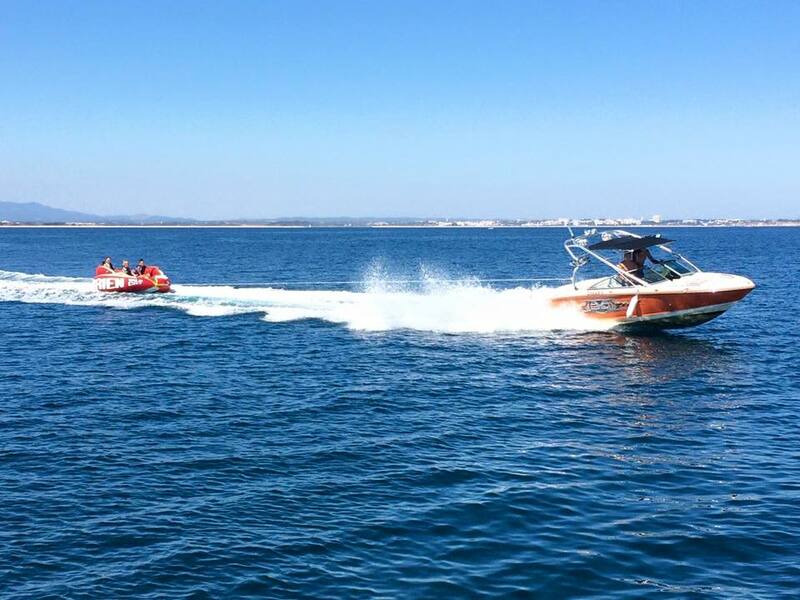 Especially in the sunny Algarve, with the beautiful golden coast and a fantastic sea, a private boat ride is the best option to ensure an unforgettable day for your group of friends. With so many boat trips coming from different beaches of the Algarve it is difficult to know which one is best for the whole group. Not to mention the mess that is organizing the schedule and the payment with everyone. We know how complicated it is, as we are fans of the Algarve, we decided to help! We did a general overview of all the private boat tours in the Algarve and selected the best ones. This way, it is easier to choose the tour for your group of friends or family. Of all the locations, with all the peculiarities, variety of prices and types of boat. Take a look and choose your favorite! Isaura do Mar, ocean sailboat that sailed the world, offers all the amenities and space to relax on the deck. Includes: Meals, drinks at will, snorkeling equipment. The trips on this classic wooden ship are always an exciting experience for people of all ages. The captain is a novelist and former documentary producer of wildlife for the BBC among others, being one of the best prepared captains of the Algarve. Private Wakeboarding Charter, on our most fun boat tours. Includes: Water, soda, juices and a bottle of champagne; water toys, wakeboard. This tour promises a great day of family and friends aboard the boat that includes wakeboarding and inflatables. The route is the choice of the group, but the fuel is also divided among the group. From Lagos to Portimão, it passes on the most beautiful cliffs of the Algarve. Includes: Meal with chicken, seasoned salad, wine and cocktail. This traditional sailing ship sails through the Bay of Lagos and, thanks to its extra small boat, allows passengers to get to know the caves and rock formations up close. One of the Algarve’s best attractions is its wild, very friendly and adorable dolphins. Includes: Water, soda, juice, beer. 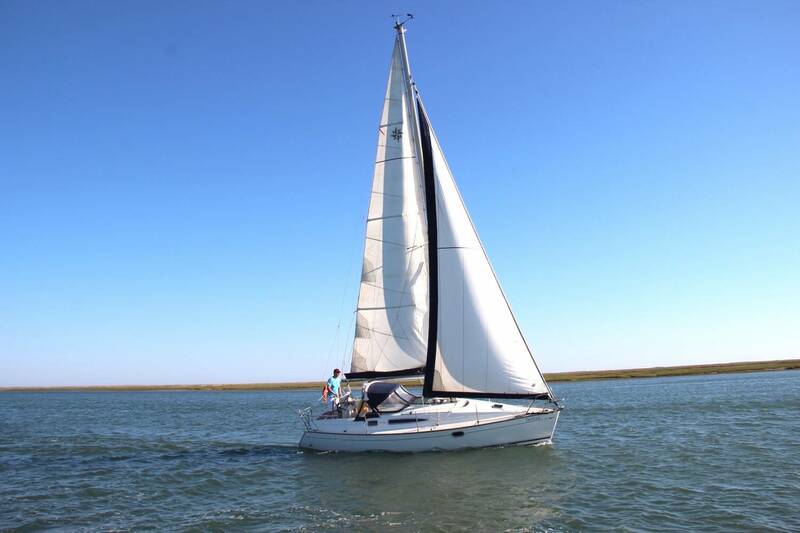 This modern boat is one of the best options for dolphin watching. 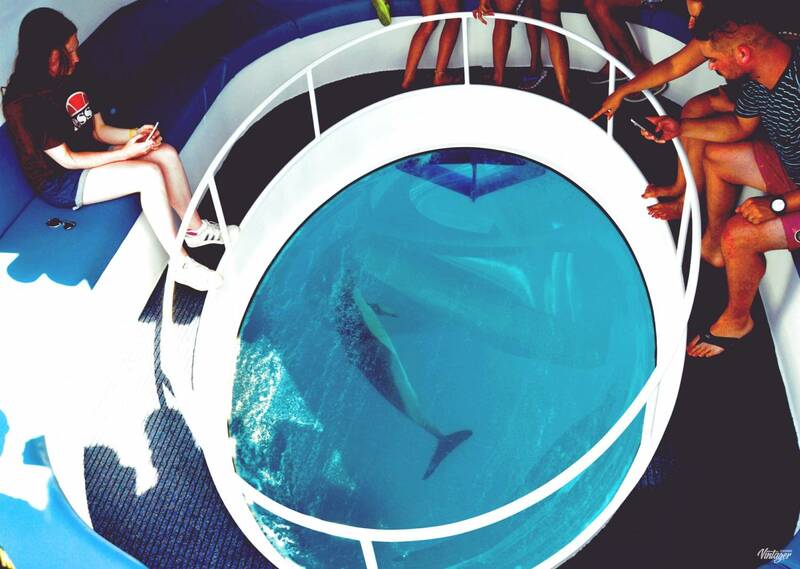 It has a glass bottom that allows passengers to see what is underwater, and the captain knows exactly where and when to find the dolphins, who are not at all timid. This tour offers the best of the barbecue made to the local style, while enjoying the landscape of the gold coast. Includes: Kayaks, BBQ that comes with fish and meat (fresh sausages, chicken and pork) and salad. Also bread, fruit, wine, juice and water. 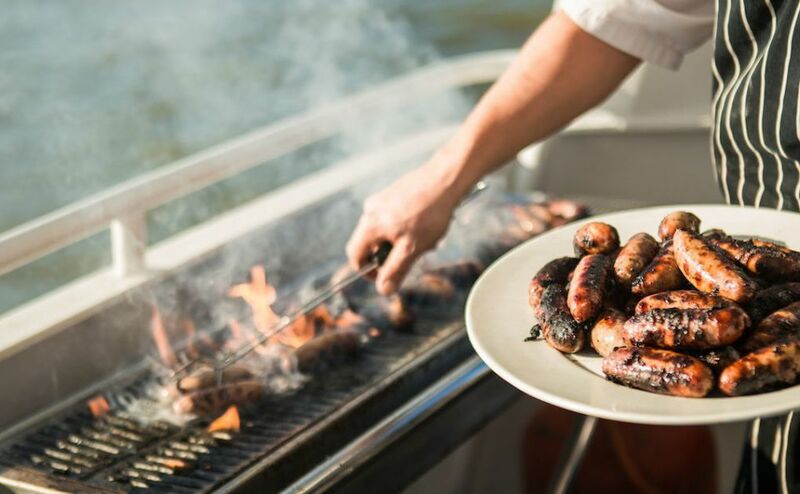 On this cruise along the beautiful coast of the Algarve, you will enjoy a beautiful sunset and a tasty Algarve-style barbecue. In addition, passengers can go kayaking and visit the caves of their choice with the help of the captain. At the end of the tour, your group will be able to watch a beautiful sunset. One of the most popular options to visit the rocky caves on the Algarve coast. Traditional in the city of Portimão, the Manguito boat is one of the liveliest on the golden coast of the Algarve. 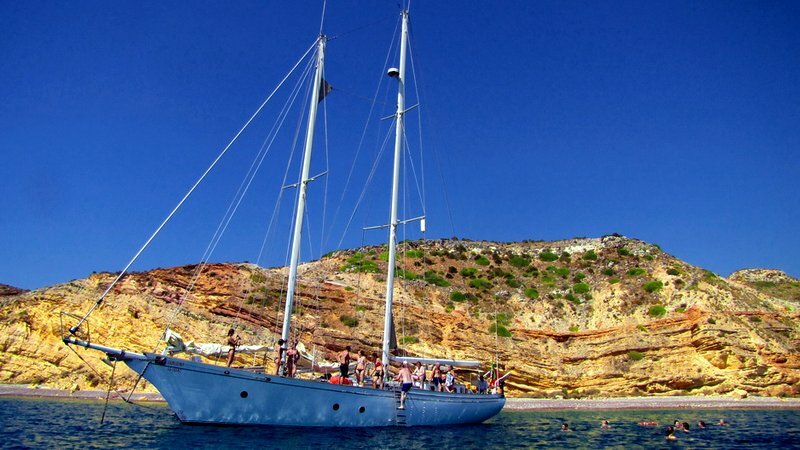 It is ideal for groups of young people, with songs to liven up the route, while the boat strolls between caves and beautiful beaches. In addition, 3 friendly macaws also go for a walk, and anyone who cares can caress them, take pictures and play. Vilamoura has a marina full of yachts, one more charming than the other. Maximum capacity: 8 people, besides the captain and the guide. Includes: Snacks, champagne, wine, beer, sodas and water. From the Vilamoura Marina, this yacht is ideal for romantic getaways for two or larger groups of friends or families. A relaxing and stylish boat tour. Price: 400 € per boat. One of the 7 natural wonders of Portugal, the Ria Formosa is a breathtaking landscape, different from the usual image of the Algarve. This tour invites you to know the canals of the ria, while learning to sail with a very experienced and friendly captain. 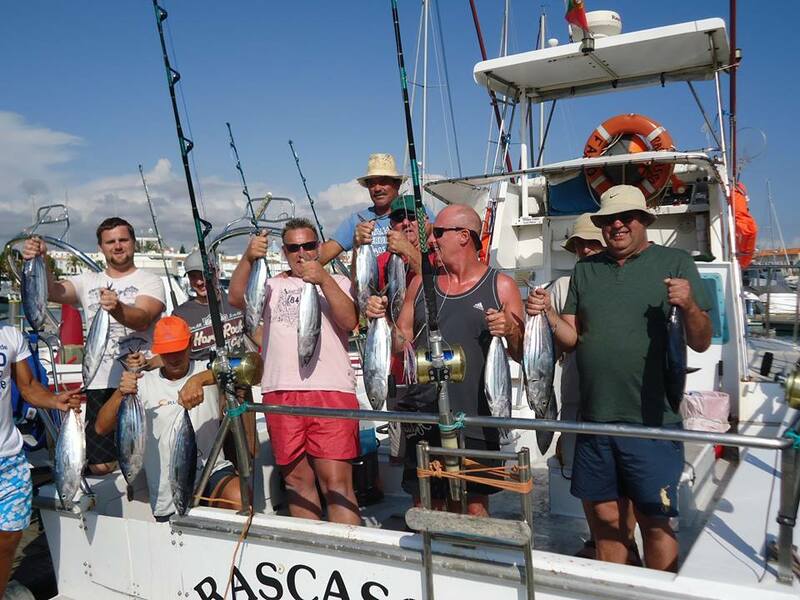 Results of a fishing trip from Vilamoura. Fishing in the Algarve is much sought after by tourists. Fortunately, we can offer many options. The fishing trips in the region are varied. There is shark fishing, deep-sea fishing, big-game fishing, family fishing trips. All the variety for your group to enjoy and perfect your fishing technique. If you want to read more about fishing trips in the Algarve, click here to access an article on this topic. 1. ALL THE TOURS CAN BE PRIVATE, AND INCLUDE SKIPPER AND INSURANCE. 2. THE TIMES MAY CHANGE. SINCE THE BOAT TOURS ARE PRIVATE, THERE’S WAY MUCH MORE FLEXIBILITY. 3. WE RECOMMEND THAT YOU BOOK YOUR TOUR IN ADVANCE TO AVOID ANY DISAPPOINTMENT. Did you like it? 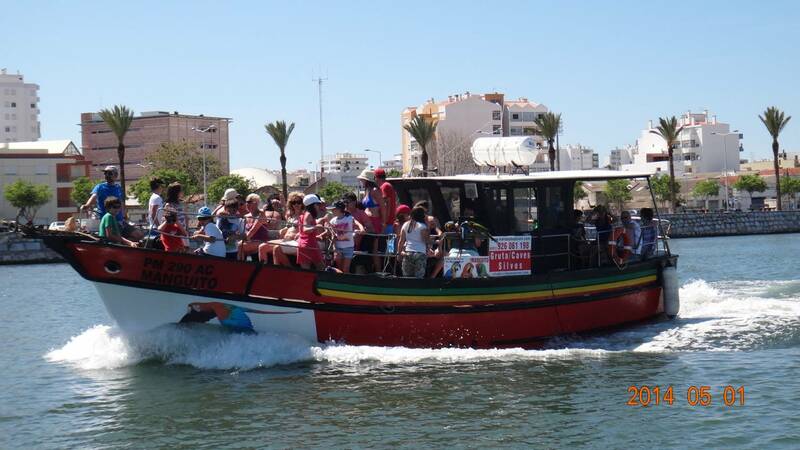 Remember, we have besides these tours, a great variety of boat trips in the Algarve. To see more, use our search engines at the top of the page. We are available 24/7 to help you and assist you in any way you may need! algarvebarbecueboatdolphinsailboattours Post written by Letícia Melo.